As issues arise during the design process, it can often be challenging to communicate these problems to others. Using disconnected tools like email, spreadsheets and paper to describe the precise location in the design, as well as what the problem is, can lead to uncertainty, miscommunication and wasted time. With Gradient, you can capture a screenshot or upload an image directly to an issue so that information is connected and easy to find. On the side panel of Gradient, you can expand an issue for a list of details. In the screenshot above you’ll be able to see its title, status, description and so on. Under the description is a section for Attachments and Screenshots. 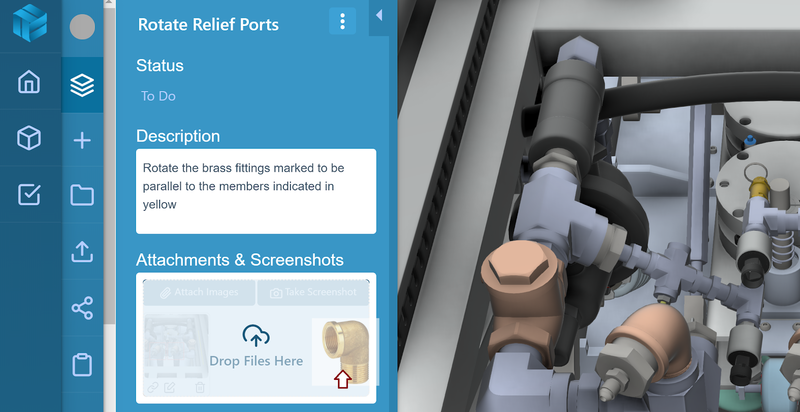 This section allows you to attach images related to the issue, so when problems arise on the shop floor, or in the field, you can simply take a picture and attach it directly to the issue on your 3D model. Now, engineers and technicians have all the context they need to understand the problem and resolve it. The first method is uploading an image directly from your computer by clicking on Attach Images. This will create a pop-up of your folder where you can simply click on the image you want to add. This can also be done on mobile by with your camera roll, right from the shop floor. 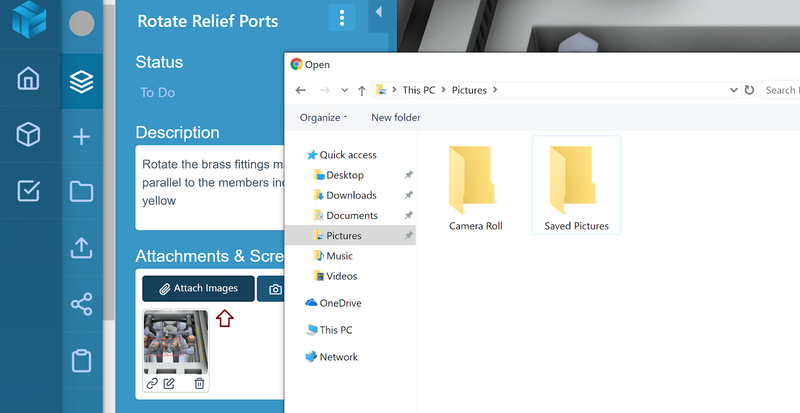 Another way to add photos is to simply drag and drop files in the Attachments and Screenshots section. You can also use Ctrl C + Ctrl V to attach an image. Both these methods allow you to skip over the process of saving an image, naming the file and searching for it in your folder. 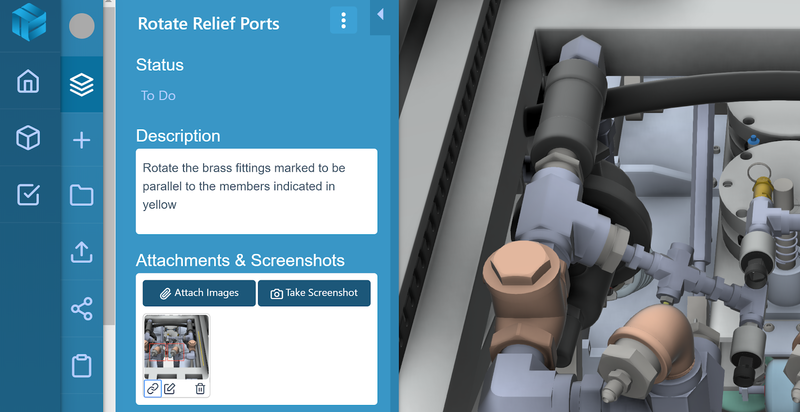 This enables quick information sharing with relevant context for a more streamlined design review process. This week we released version 1.12 of Gradient, with a number of exciting feature requests included in this release.